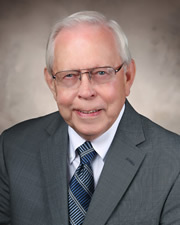 Chairman of the Board, Ray Hewitt, is a native of Clear Lake and returned to his hometown in 1973 from Waukesha, Wisconsin, where he served as president of the Marine National Bank. 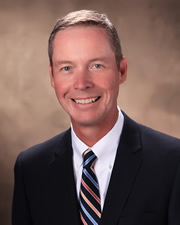 Upon his return, he held the position of president and CEO of Clear Lake Bank & Trust Company until 1998, when his son, Mark Hewitt, returned to Clear Lake and assumed this position. He was a member of the Clear Lake Rotary Club for 25 years and once served as president of the organization. For many years, has served on the Clear Lake Chamber of Commerce as well as the Clear Lake Economic Development Corporation. President/CEO Mark Hewitt started his banking career in 1985 and worked for two large regional banks prior to joining CLB&T. Hewitt is a graduate of the Kellogg Graduate School of Business at Northwestern University where he earned his MBA. He also holds a BS degree in finance from Drake University. 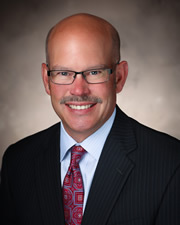 Hewitt currently serves on the boards of Mercy Medical Center-North Iowa and the Drake University College of Business and Public Administration. 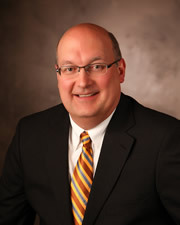 He is a past board member of United Way of North Central Iowa and the Federal Reserve Bank of Chicago. Paul Stevenson is the bank’s chief credit officer and serves on the CLB&T Board of Directors. He also manages the bank’s commercial banking department and manages a sizeable commercial loan portfolio. 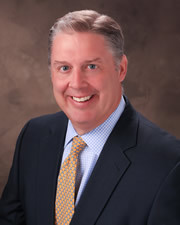 Stevenson began his banking career in 1989 with a large multi-state bank holding company before joining CLB&T in 1997. He earned his BA degree in finance and banking from Buena Vista University and is a graduate of the Graduate School of Banking at the University of Colorado. Stevenson has been actively involved in the community serving on the boards of the Clear Lake Area Chamber of Commerce (past president), Clear Lake Economic Development Corporation, John Pappajohn Business & Entrepreneurial Center at NIACC, and the Clear Lake Revolving Loan Fund. He has also served on the Clear Lake Community School’s Board of Education and has been instrumental in ensuring the ongoing operation of Clear Lake’s historic Surf Ballroom. Matt Ritter is responsible for management of bank operations and technology and serves as a member of the CLB&T Board of Directors. He has been a CLB&T employee since 1993. Ritter has his MBA from Drake University, BA degree in finance & banking from Buena Vista University, and AA degree from NIACC. He has also attended the BAI Graduate School of Bank Operations & Technology at Vanderbilt University and the Graduate School of Bank Investments & Financial Management at the University of South Carolina. He servers on the Board of Directors as treasurer for One Vision in Clear Lake. 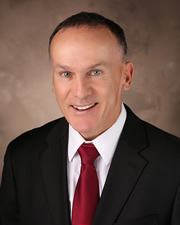 He has previously served on the National User Group Board of Directors for Jack Henry & Associates, the board of the Clear Lake Public Library, the Clear Lake Public Library Foundation, and the North Iowa Area Community College Alumni Advisory Board. Marc Younge works closely with the bank's commercial and agricultural loan customers to ensure their financing needs are met to ensure a successful and well maintained operation. 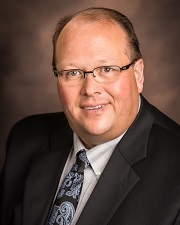 A CLB&T employee since 2005 and a banker since 1995, Younge earned his BS in management & finance from Drake University and attended the Iowa Commercial Lending School. He currently serves as treasurer on the Opportunity Village Board of Directors, Elder at Redeemer Lutheran Church and Iowa Cattleman's Association Board of Directors. Younge is a past president of the Ventura School Foundation Board, Congregational Chairman of Redeemer Lutheran Church, and Clear Lake Chamber board member. He has also been involved with Cerro Gordo County 4-H, Cerro Gordo County Cattleman Association, and Ventura Betterment Committee. 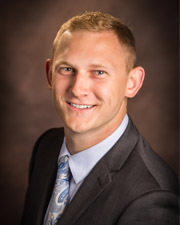 A native of Carroll County, Brian is a graduate of Iowa State University with a bachelor of science degree in finance. Brian joined CLB&T in 2017 in our downtown Mason City office with 30 years of previous financial services experience. Brian resides in Mason City and is secretary for the Mason City Noon Kiwanis Club and past volunteer for the Knights of Columbus; Relay for Life; United Way; Opportunity Village; Newman Schools; and Habitat for Humanity. 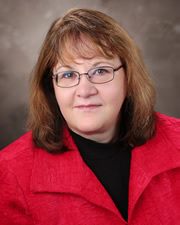 Sue Finnegan joined CLB&T in 1977 after attending North Iowa Area Community College and the University of Northern Iowa. Finnegan, a Clear Lake native, is a well-known face behind the teller line in the Clear Lake office. In addition to her teller management duties, she has also played an integral role in bank marketing and advertising as well as the ongoing operation of the bank's Clear Sailing "55" program. Finnegan is involved with the United Way Mentoring Program and she has also volunteered her time to act as the treasurer for local political campaigns. 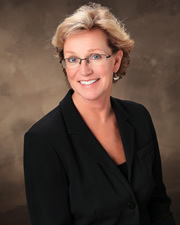 Deb McIntire has been with CLB&T since 1979. She is responsible for all teller operations of the bank, including teller staffing, education/training, compliance, policies, and procedures. McIntire attended Hamilton Business College and was previously involved with the Clear Lake Athletic League, the CARES post-prom party, and the St. Patrick Church auction. She also volunteers her time to help several organizations with their betterment projects. A CLB&T employee since 1979, Gary Peterson is responsible for management of the bank's consumer loan department. In this capacity, Peterson works with a large number of the bank's customers underwriting auto loans, boat loans, personal watercraft loans, recreational vehicle loans, and vacation loans; home equity lines of credit; and home equity loans. He also works with several car dealers in North Iowa to provide affordable and responsible auto loans. 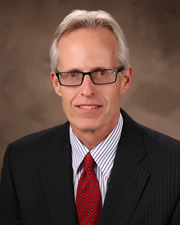 Peterson earned his BS from Iowa State University and attended the Graduate School of Banking. He has been involved with a wide array of community organizations including United Way, Clear Lake Noon Lions Club, Clear Lake Youth League, North Iowa Cyclone Board, United Methodist Church and is a current board member of the Clear Lake Chamber of Commerce. 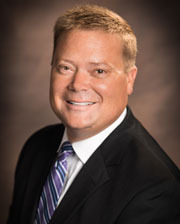 Chip Thiedeman has been with CLB&T's Garner Office since 1996. He is responsible for consumer deposit and loan customers in the Garner area, as well as heading real estate lending in Garner. Thiedeman has been involved with many North Iowa community organizations and activities, which include the Hancock County Memorial Hospital, Garner Chamber of Commerce & Vision Committee, Garner Area Betterment Association, Garner Lions Club, NIACC-Garner Education Center Advisory Board, and the Garner City Revolving Loan Fund Committee. He earned his BA from Iowa State University. 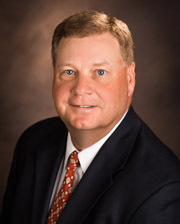 Mike Bahnsen is Vice President Commerical/Ag Banking and manages the Garner Office. Bahnsen was raised on a farm in southern Cerro Gordo County. He has 13 years of banking experience. 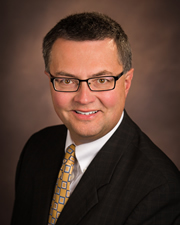 Bahnsen holds a BS degree in Agricultural Business from Iowa State University, and is a graduate of Iowa School of Banking and Commercial Lending Institute. Mike is a member of the Hancock County Economic Development group, serves as Garner Parks and Recreation Chairman and is the treasurer for the Garner Rotary Club. Pat Goedken, joined CLB&T in April 2010. Pat is a graduate of Iowa State University with a bachelor of science in ag business. Pat has more than twenty years of ag and commercial banking experience across North Iowa. He currently serves as a United Way volunteer and YMCA volunteer, is active in Epiphany Parish and serves on the ag committee for the Mason City Chamber of Commerce. 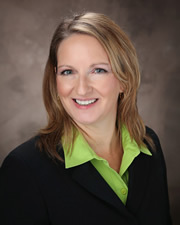 Cheryl Kurtzleben joined Clear Lake Bank and Trust in August 2013 as vice president of real estate lending in the Mason City office. A native of Forest City, Cheryl is a graduate of Waldorf College and has worked in North Iowa for the past 16 years in banking and mortgage loan origination. 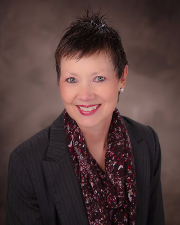 Cheryl has served as an executive officer on United Way of North Central Iowa’s Board of Directors and is a local advisory board member for Consumer Credit Counseling of NE Iowa. Chris received his bachelor’s degree from Michigan State University and has worked in banking for 25 years. He joined CLB&T in October 2013. He is active in Kiwanis, Mason City Youth Task Force Mentor Program and River City Barbershop Chorus. He lives with his wife, Jeanie, and their dog, Bailey. A graduate of Sioux Falls College, Augustana College and the Cannon Financial Institute, Anne joined CLB&T in October 2013 with 29 years of trust experience. 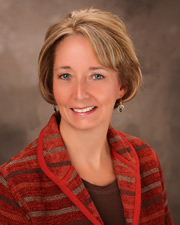 She is the past president and current member of Good Shepherd Care Center Board of Directors; past president and current member of the Mercy Medical Center Foundation; member of the Mason City Zoning Board of Adjustments; member of Wright on the Park finance committee; and member of Mercy Medical Center-North Iowa finance committee. Anne and her husband, Doug, have two grown children and reside in Mason City. A native of Clear Lake, Aimee joined Clear Lake Bank & Trust in 2012 as our human resources officer and was promoted to vice president in 2017. 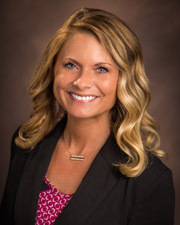 She is a graduate of NIACC with an associate's degree in business, Drake University with a bachelor of science in business administration, and Ashford University with a master's in business administration. Aimee is SHRM-SCP and PHR (Professional in Human Resources) certified. She has served on the Girl Scouts of Greater Iowa's Board of Directors and was co-chair for for the North Iowa Diversity Appreciation Team. Aimee continues to be involved as a member of United Way of North Central Iowa's Board of Directors and is a member of Human Resources Association of North Iowa. Molly Watson joined CLB&T in September 2008 as the bank's marketing officer. In her role, Molly develops and implements CLB&T's marketing, initiatives as well as provides oversight of the bank's retail function and customer relationship management. She is a graduate of the University of Northern Iowa with a BA in public relations. Molly currently serves on the MacNider Art Museum's Board of Directors and Foundation Board of Directors. She is a longtime volunteer for the Mason City Family YMCA's Partner of Youth Campaign and also volunteers for the Jefferson and Lincoln PTO, Meals on Wheels and is a member of the Clear Lake Chamber of Commerce Christmas by the Lake committee. 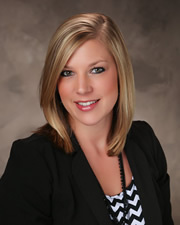 Molly is a past member of the Iowa Banker's Association's Marketing Committee. 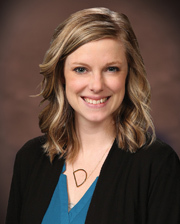 Danielle Pace joined the CLB&T team in September 2015 as retail branch manager in the Mason City west office. 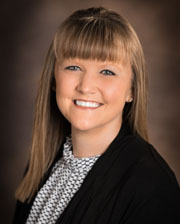 In 2019, Danielle was promoted to vice president of consumer lending while maintaining her role as retail leader in our Mason City west office. She is a graduate of North Iowa Area Community College and comes to CLB&T with eight years of banking and management experience. Danielle is actively involved with the American Cancer Sociey's Relay for Life of Cerro Gordo County and has served as the event chair for three years. She has also been involved with Make-A-Wish of North Iowa and the Juvenile Diabetes Research Foundation. 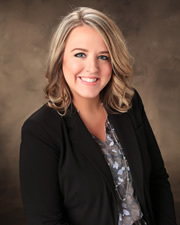 A graduate of Buena Vista University with a BA in business management/human resources, Amy joined our team in 2006 as a personal banker and commercial/ag banking assistant. Several years later, she was promoted to retail banking manager, leading training and sales efforts of the retail banking team. In 2019, Amy was promoted to vice president and is largely responsible for growing the bank's retail processes, procedures, and sales initiatives. 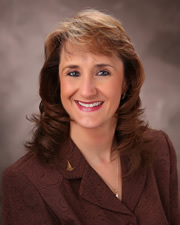 She graduated from the Iowa Bankers Association (IBA) Bank Leadership Institute in June of 2013. Amy is actively involved with Meals on Wheels and United Way of North Central Iowa, having served as a panel member for United Way's Citizens Review/Community Impact Team. She is a past Clear Lake Chamber First Mate, Leadership of North Iowa participant, and Clear Lake Chamber Lake Leadership participant. 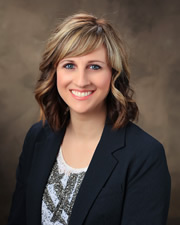 Amy currently serves as a member of the IBA Emerging Leaders Peer Group and Clear Lake Booster Club Board of Directors. 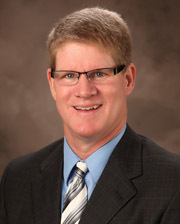 An ISU graduate, Kirk joined CLB&T in 2007 after many years of insurance sales experience. Kirk is a strong supporter of our communities and has been a significant part of the insurance agency growth over the past several years. Joan M. Hanson, assistant vice president, works in the Clear Lake office to support the agriculture and commercial department. A CLB&T employee since 1992, Hanson earned her AA from NIACC and a BA in finance and banking with a minor in sociology from Buena Vista University. She is involved with the American Cancer Society Relay for Life of Hancock County as a committee member and team captain; the Garner Asset Project (GAP), serving as a coalition member and a member of the executive committee; Garner-Hayfield Community School Vocational Advisory Committee; Garner-Hayfield Education Foundation Board; Garner Education Center Operations Board and the RSVP Advisory Council. Joy has been employed with CLB&T since June of 1989. 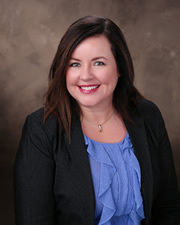 As a general lender in the downtown Mason City office, her responsibilities include working with individuals on home, auto, boat, home equity and home equity lines of credit loans. Olson works closely with the bank's Clear Sailing "55" Club, making club trip and seminar arrangements, writing the club's newsletter and speaking at monthly "Movie Day." She has a BA from the University of Northern Iowa and has attended the Iowa Banker's Consumer Lending School. She is involved in Mason City Band Festival Board of Directors, Women's Leadership for United Way and is a Meals on Wheels volunteer. 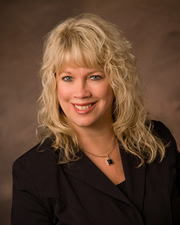 Diane Ostendorf attended Iowa Central Community College and has attended many classes and seminars related to banking. She began her banking career in 1979 and joined CLB&T in 1989. 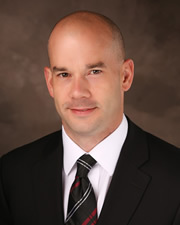 Ostendorf is responsible for opening new accounts and is the bank's IRA specialist. She is vice president of the Clear Lake Dixiefest Board, a mentor for Opportunity Village residents, a United Way volunteer, member of the Clear Lake Arts Center and donates her time to the American Cancer Society. She is a past member of Chamber First Mates, Hospice Volunteers, and the United Church of Christ Board of Trustees. 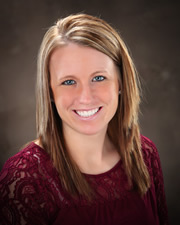 A graduate of the University of Northern Iowa with a BA in finance & real estate, Natalie Plagge joined CLB&T in May of 2010. Prior to becoming a commercial banking officer at CLB&T, Natalie worked for three years as a commercial loan officer in Louisville, Kentucky. 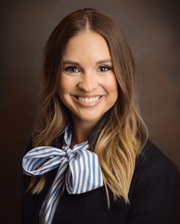 Natalie has attended the Risk Management Association's Lending Academy, Kentucky Bankers Association's Commercial Lending School and Iowa Bankers Association's Iowa School of Banking. She is involved in the Clear Lake Chamber of Commerce First Mates and the Clear Lake Jaycees. Pat Thompson joined CLB&T's business banking team in 2016 with more than 25 years of financial services experience. A graduate of South Dakota University with a bachelor's degree in economics/business administration, Pat is located in our Mason City west office. Sarah has been employed with CLB&T since June 1999. Sarah earned a BA in finance from Wartburg College as well as an AA from NIACC. In 2019, Sarah was promoted to vice president, serving as a leader in the IT department as well managing the oversight of the customer service and deposit operations departments. Her community involvement includes serving as the treasurer of the Ventura Congregate Meals, United Way Day of Caring, and Meals on Wheels. In the fall you will find Sarah officiating high school volleyball. In 2011, Josh Thompson joined CLB&T, working as a teller while attending college. Upon graduation in 2014, he joined our commercial lending department as a credit analyst. In 2017, Josh was promoted to his current role. Josh is a graduate of the University of Northern Iowa with a bachelor's degree in finance. He is also a graduate of the Iowa Banker's Association Commercial Lending School and a member of the Clear Lake Jaycees. In 2014, Casey Purcell joined CLB&T in the customer service and trust departments and was promoted to mortgage lending officer several years later. She transitioned into her new role with nearly 10 years of banking experience and three years of previous real estate agent experience. In 2019, she was promoted to assistant vice president. She is a graduate of Hamilton Business College. She is a member of the Clear Lake Jaycees and Habitat for Humanity Credit Committee. 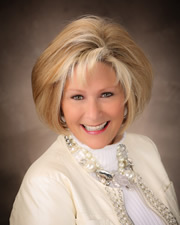 Sandra Whitehurst began her career after graduating from North Iowa Area Community College. She has been in the consumer lending department for 15 years, most recently adding lending responsibilities to her scope of work. She serves the community through her involvement as treasurer of Clear Lake Lion’s Pride, Meals on Wheel’s, Community Kitchen, and the United Way of North Iowa. 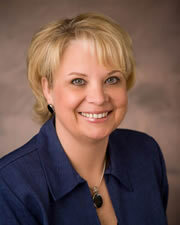 A Clear Lake native, Sue Price has been a member of the CLB&T team since 1998. Whether you are looking to open a new account, purchase a CD/IRA or have any questions about our products or services, she can assist you with all of your personal banking needs. 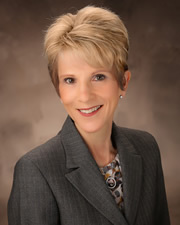 Sue serves as the executive assistant to the bank president and chairman of the board. She is a graduate of Hamilton Business College. She has been a volunteer for the United Way Day of Caring and Meals on Wheels. Tammy Orte is the bank's internal audit officer and has been with CLB&T since July 2006. Tammy is responsible for audit and accounting activities of the bank and also serves as the bank's compliance chair person. Tammy earned her BA in accounting from Monmouth College in Monmouth Illinois and an AA from Carl Sandburg College in Galesburg Illinois. She is involved in Clear Lake Noon Rotary, Daughters of the American Revolution, and serves on the Clear Lake Library Foundation Board and the Friends of the Library Board. Joining CLB&T in 2006 as a teller and new account representative in Clear Lake, Paula offers more than 15 years of experience in her new position. 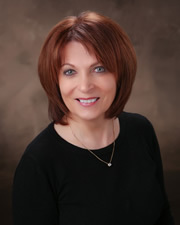 In the summer of 2012, Paula relocated to Garner and serves as the Garner office's personal banking expert. Outside of the office, Paula can be seen cheering on the new GHV sports teams throughout the school year and currently serves as a mentor for YIELD. 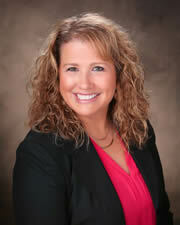 Kristin Davison has been employed with CLB&T since 2010, serving as the bank's compliance coordinator. In 2014, Kristin was promoted to compliance officer, where she is responsible for compliance management. 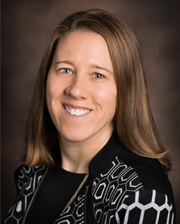 Kristin is a graduate of Drake University and resides in Garner with her husband, Collin, and their two children. Jean Mujica joined CLB&T with 23 years of banking experience. She is mainly responsible for loan support to Todd and Pat in the Commercial and Ag banking department. Mujica attended Hamilton Business College and is involved in Kiwanis Club. She was previously involved with the Mason City Youth Task Force, United Way of North Central Iowa, and Newman Catholic Booster Club. 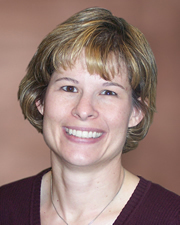 A Rockwell-Swaledale graduate, Tami joined CLB&T in 1996 with 10 years of banking experience. She has served in several capacities during her 21 years at CLB&T and was promoted to transfer/funds management officer in 2017. A native of Newton and University of Iowa graduate, Stephanie Hassebroek was promoted to trust officer in 2017. 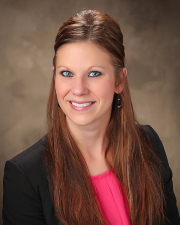 She joined Edgar Financial Group/Clear Lake Bank & Trust in 2011 with 4 years of financial services experience. She is currently attending the Cannon Trust School. 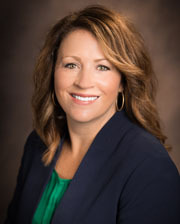 She serves as the vice president of the Clear Lake Jaycees, planning committee member for the Clear Lake Chamber’s Lake Leadership Program, and is a member of the Iowa Banker's Association's Leadership Advisory Board. Sara joined CLB&T in May 2017 as our retail branch manager in the downtown Mason City office, bringing 8 years of personal banking, branch management, and real estate experience. Sara is a graduate of North Iowa Community College and Buena Vista University. Sara resides in Mason City with her 3 children. She serves her community through involvement in the Main Street Mason City Board of Directors and United Way of North Central Iowa. 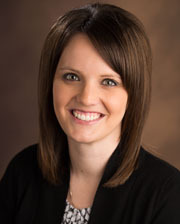 In 2007, Nikki Olson joined Clear Lake Bank & Trust as a teller in our Mason City West office. After being appointed lead teller, Nikki was promoted to BSA officer in 2018. She is a graduate of the University of Northern Iowa and an seasoned member of our team with more than 16 years of banking experience. Nikki is a volunteer with Cerro Gordo County Relay for Life. After several years of college internships with CLB&T, Rachel Hewitt joined our team permanently in October 2018. Rachel is a Clear Lake native and graduate of the University of Iowa with a bachelor of arts in communication studies and business administration. She joined the business banking department after spending five years in sales and management in the Chicago and Des Moines markets. Amanda joined CLB&T in 2007 with six years of previous banking experience. During her time at the bank, she has worked in various roles throughout the organization, in teller operations, customer service, and personal banking. With her experience in diverse roles, she brings an extensive wealth of information and knowledge to her customers and colleagues. Stephen Doerfler - President, Metalcraft Inc.